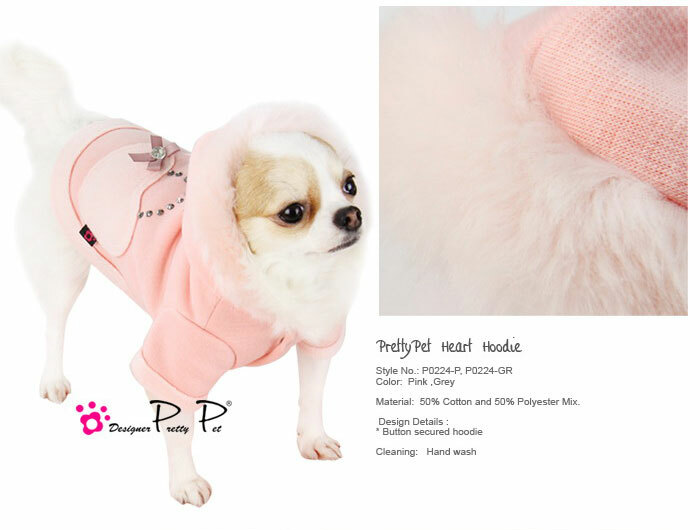 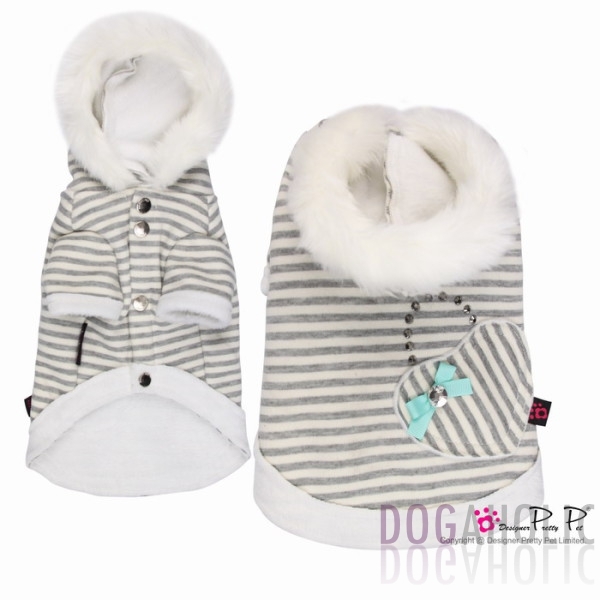 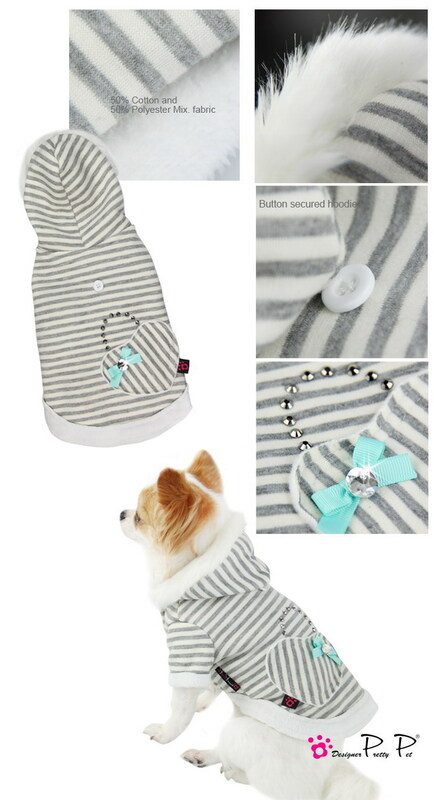 Made from 50% Cotton and 50% Polyester this pretty dog hoodie from Pretty Pet is simply divine. 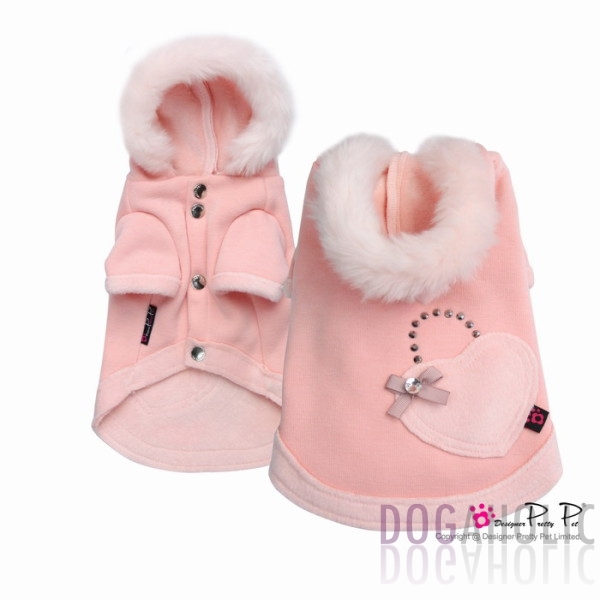 Each coat has a heart shaped handbag on the back while the hood is trimmed in faux fur. 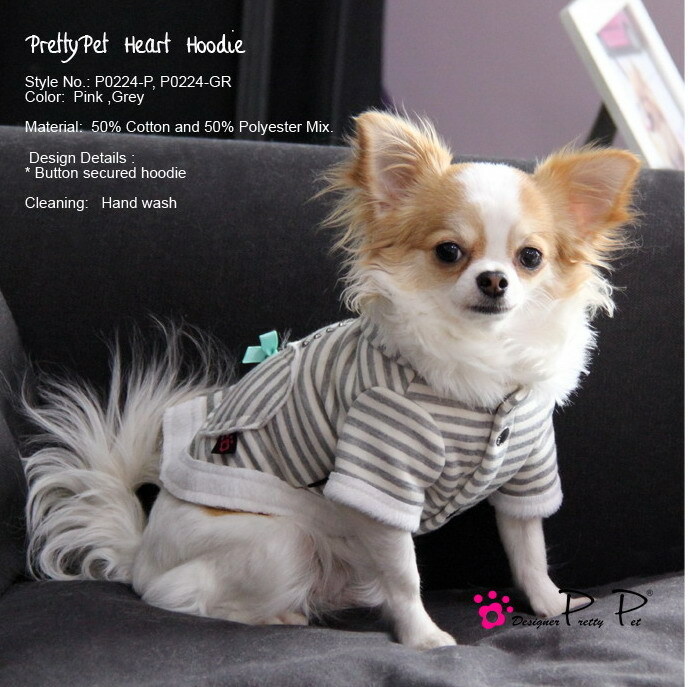 The hoodie fastens up the chest with snappers.